What book of yours should we read first? If you have multiple books or series, in what order should they be read? I’m currently creating a reader’s guide that will be released soon, explaining the multiple ways in which to read The Amüli Chronicles. The reader’s guide will be free and available through Evolved Publishing in a few months, and will list current and upcoming projects. 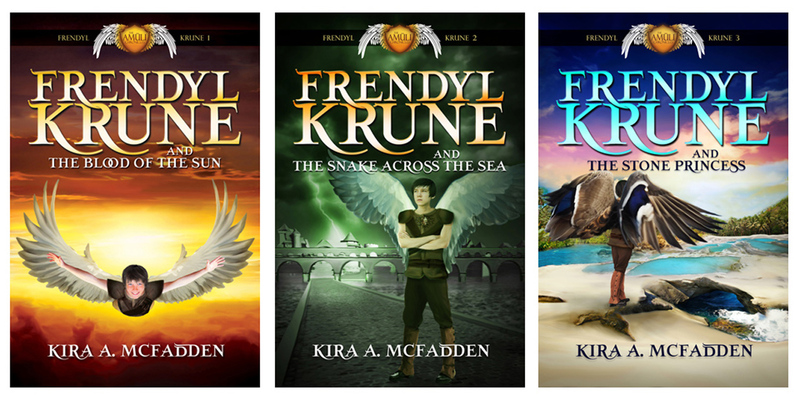 If you enjoy all sorts of fantasy, I suggest reading the Frendyl Krune series first, starting with Frendyl Krune and the Blood of the Sun, and ending with the Frendyl Krune Origins short stories. 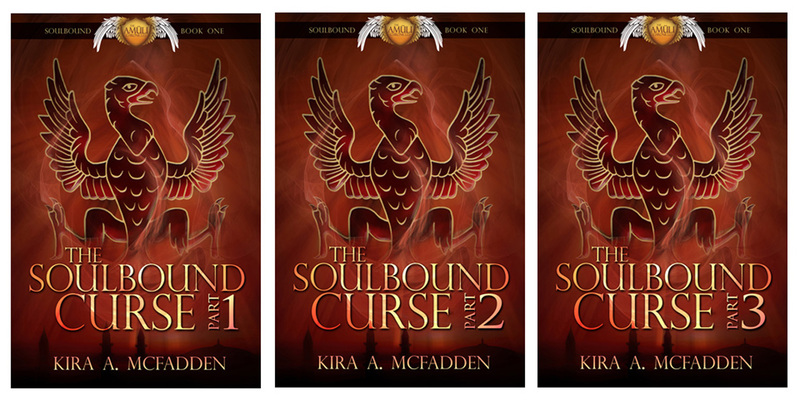 Should you happen to primarily enjoy epic fantasy for readers over 16, I suggest reading The Soulbound Curse first, Parts 1-3, followed by Soulbound Origins: The Crow Prince. The sequel to those books, The Soulless King, will also be released in 3 eBooks and a single print omnibus. This should be read after Soulbound Origins: The Crow Prince. As with many epic fantasies, the beginning is dependent on whose story you’re following. In Frendyl Krune and the Blood of the Sun, Frendyl and his cousin return from a flight around the city, only to find that someone has broken into their family’s estate through the Catacombs, the most notorious prison in the Amüli Kingdom. The prison is impenetrable, the only entrance through a passage deep within the Krune estate, so someone getting in from the outside makes Frendyl’s down stand straight on end. In The Soulbound Curse, a necromancer named Eti flees sunlight to reach the amüli capital city to find a savior for the ekra people. The cast of The Amüli Chronicles is sprawling and the overall story arc spans many thousands of years. This would be an impossible question if I listed all of the main characters in all of the series I have planned under The Amüli Chronicles, so I’ll stick to who the main characters are in my current published works. Frendyl Krune is a lad of twelve who wants nothing more than to be a knight, yet when an ancient relic known as the Blood of the Sun binds to his heart, he is forced to learn what it truly means to be righteous. Fourteen-year-old Navyni Yassla is the heir to the lordship of the city Madirakov, yet his cousin has overthrown his father and now controls the city. 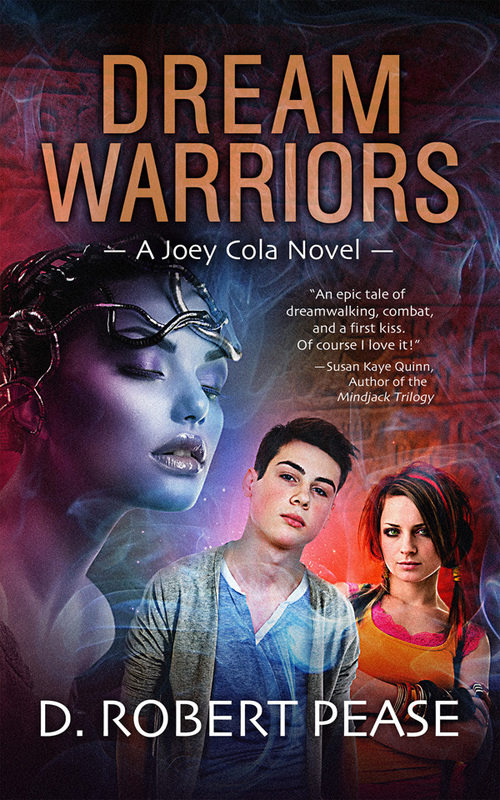 For Navyni to right his cousin’s wrongs, he must learn how to become a strong and honorable fighter, yet death’s whispers follow him at every turn. Kellyn Wynbre is eight, and has already been betrothed twice. Her first arranged marriage ended in disaster when she picked her nose at her future in-laws’ estate and wiped it on her suitor. The second time she was arranged to marry, Kel ran away with her favorite cousin, Frendyl, and didn’t tell her suitor’s family where she went. Despite her rash decisions, she knows in her heart she doesn’t want to marry until the choice is right for her and her alone. And until then, Kel is determined to become one of the most powerful casters Inrugia has ever seen. Clae Vojtech needs to go to Earth to meet his Soulbound human so that his soul doesn’t break away from the host, killing him. Just before he’s set to leave, the leaders of the Amüli Republic revoke his right to travel, and in terror for his life, Clae flees to Earth without consent. Eti is an ekrim necromancer in search of the Avi, an ekrim who is fabled to have the ability to link with the sliver of a deity’s soul and bring peace to Inrugia. The ekrim’s quest is sidetracked when Eti follows Clae to Earth and is forced to help Clae survive in order to return home. Master of Trade Marik Aneys is about to become a father, and his life seems to be well on-track, yet when his daughter is born Unsouled and joins the ranks of thousands of stillborn infants, he seeks to find out why. The answer lies with his cousin, Clae, and other half human amüli. Part of the setting for The Soulbound Curse is on Earth. 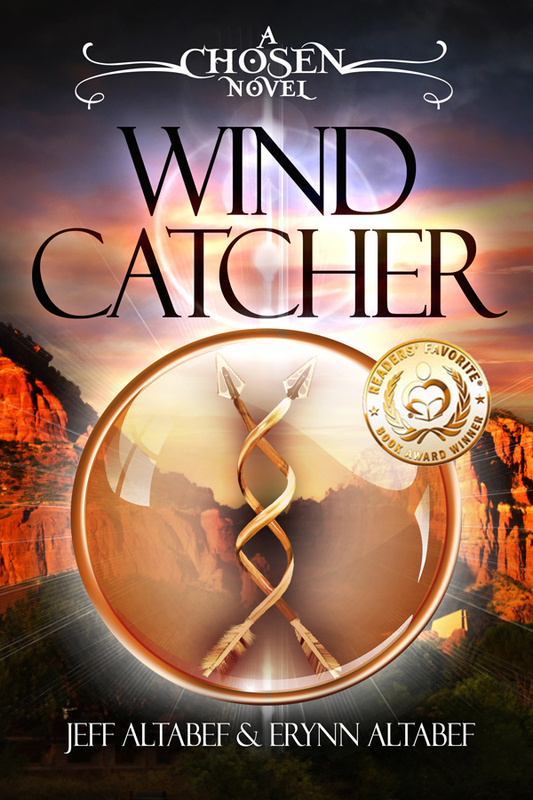 While Clae searches for his Soulbound human, he wanders the Thai countryside, witnessing key differences between human cultures and those of the amüli. The rest of the Soulbound arc and all of the Frendyl Krune series take place on Inrugia, which at first sight, seems almost familiar with enormous pine trees and vast mountain ranges, yet as the characters travel farther from their home cities, Inrugia proves how brutal she truly is. I’ve had a few people comment that my work reminds them a tad of George R. R. Martin’s A Song of Ice and Fire because of its heavy political content and dark subject matter. Other than that, I’d say it probably closely resembles some of Brandon Sanderson’s works, yet rather than allowing my characters to die, they instead face Soullessness, which is a sort of comatose limbo. Oh my, yes. 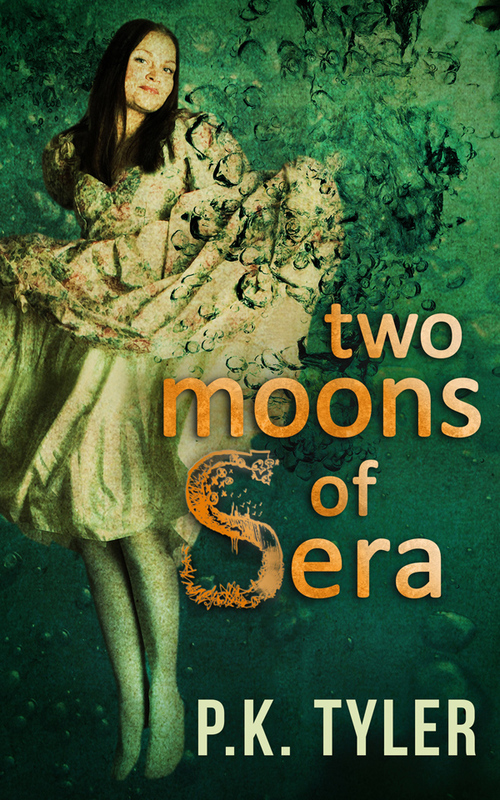 Later this year, the fourth book in the Frendyl Krune series and the second of the Soulbound arc will both be released. I have six total books planned for the Frendyl Krune series, along with five accompanying short stories, and eight massive epic fantasies in the Soulbound arc, plus seven short stories. Beyond that, I’ve outlined and (tentatively) titled nearly 70 books in The Amüli Chronicles. 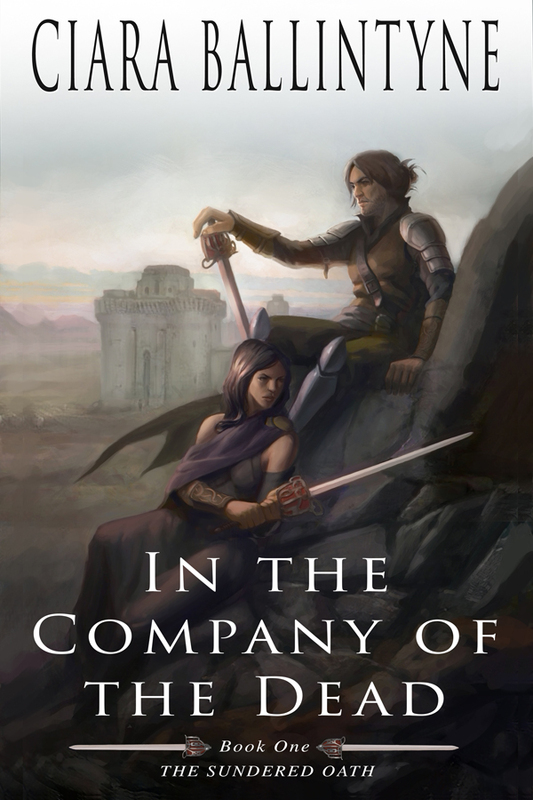 Our thanks to Kira A. McFadden for spending a little time with us, and we hope you enjoy her wonderful, far-reaching fantasy series. This entry was posted	on Thursday, May 12th, 2016 at 1:57 pm	and is filed under News/Announcement. You can follow any responses to this entry through the RSS 2.0 feed. You can leave a response, or trackback from your own site.